Let’s talk about Veganuary! Veganuary is a month-long challenge in January for people curious about plant-based food. Its popularity has soared and this year it’s even more popular with more than 150,000 people signed up. 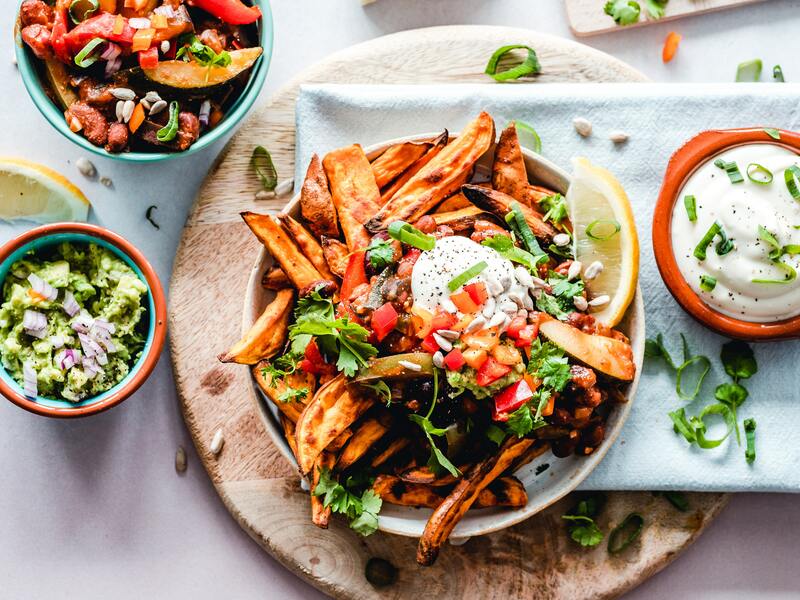 While not all of us are ready to give up eating meat and dairy full time, more and more of us are keen to experiment with cutting down for environmental, ethical or health reasons. Recent statistics show that one in three of us regularly buy dairy-free milks, and a study by Marks & Spencer’s says that one in five of their customers’ households cook flexitarian meals. 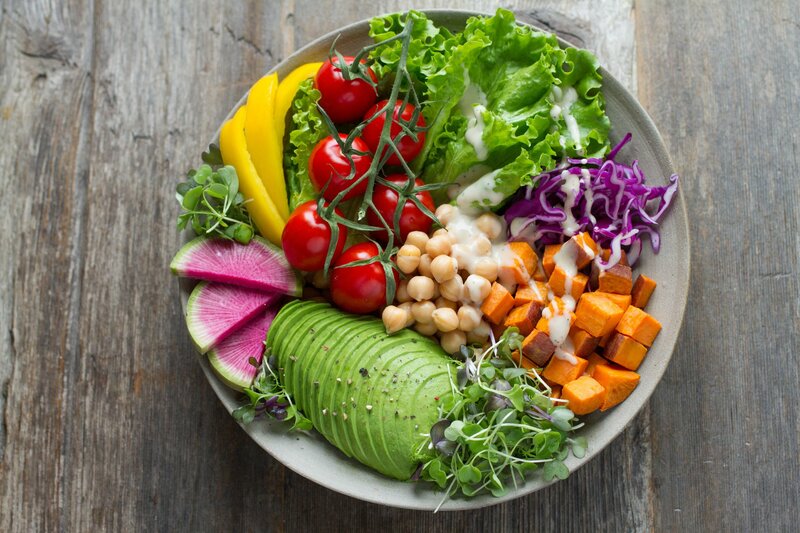 There isn’t a better time than now to try a plant-based diet as the variety of food to cook at home and eat out in restaurants is growing daily and the flavours and tastes are truly thrilling. He watched a few interesting documentaries and read some significant studies that advocate a plant-based diet to improve health, reduce the risk of cancer and be kinder to the environment and animals. The roast lamb was cooking slowly in the oven with the roast potatoes, gravy and vegetables. To say I was annoyed is an understatement! However, over time, we have adopted our lifestyle and cooking and enjoy a mainly plant-based diet. I have started a blog to answer some questions from family and friends who are also looking to eat more healthy options and cut back or cut out meat and fish. We have adapted over 30 main course dishes and over 20 desserts to eat vegan meals as a family every day of the week. What works for us as a family is variety and also simplicity as we don’t have all day to prepare and shop for food. We prefer to cook from scratch and don’t like to use the over-processed food available in the supermarkets, relying on a weekly veg box delivery instead. 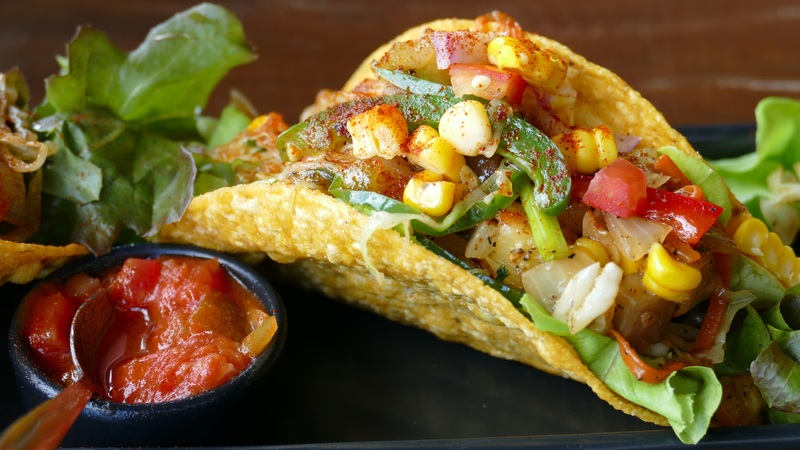 One of our family favourites is Mexican food as the flavours, colours and textures work equally well using plant-based products only. 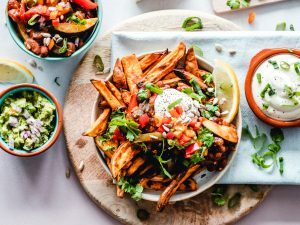 Once you have perfected a basic spicy bean recipe, then you can adapt this for chilli’s, tacos, fajitas, burrito’s, quesadilla’s and stews combining textures and colours with different vegetables. My children love the theatre of eating Mexican food, adding sauces, toppings and dips and building their own healthy meals and it is a perfect meal for visiting friends. We have also tried vegan desserts and cakes which are easy to make and deliciously naughty to eat! We do feel better as a family, are healthier and happier and we are definitely not missing out on flavour and variety! What matters to me as a passionate foodie is flavour and taste. No need to label delicious food as vegan, just healthy and enjoyable. I highly recommend you try cutting back on meat, adding colour to your plate with a variety of pulses, beans and vegetables and let us know what you think!